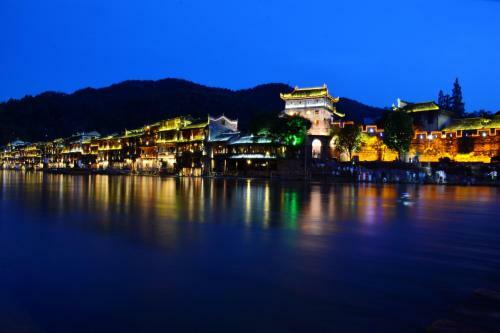 The North Gate of Fenghuang Ancient Town can be reached in 3 minutes on foot. It takes just 3 minutes on foot to Beimen Tiaoyan. All rooms come with a flat-screen TV with cable channels. Certain rooms feature views of the lake or river. Most rooms come equipped with a private bathroom, while others provide access to shared bathroom facilities. The inn offers bike hire and car hire. Staff at the tour desk is delighted to offer travel tips and assist with ticket service. You can enjoy meals at the on-site restaurant or lounge at the bar and have a few drinks. BBQ facilities can also be provided at an extra cost. This twin room has an electric kettle, a flat-screen cable TV and a desk. The private bathroom includes a shower, slippers and a hairdryer.